The visitor guide on Glenprosen in Angus gives you information about the town and areas around. You also can get details about the hotels and Accommodation in Angus and around. Glen Prosen is one of the five Highland glens located in Angus; the others being Glenisla, Glen Clova, Glen Lethnot and Glen Esk. It lies to the west of Angus Glens in the south western part of Cairngorm Mountains. Glenprosen nestles in the mountains amidst impressive natural sceneries. This tranquil glen of hills is considered to be one of the most beautiful highlands of Scotland. The whole valley seems like a velvet belt covered with the greenery of nature. The hill slopes overlooking the Prosen water on the Tulloch hill is a great sight to watch. A mile up Glen prosen will take you to the house where the famous explorers Captain Scott and Doctor Wilson planned their unfortunate trip to Antarctica way back in 1910-11. The memorial stone cairn at the foot of the glen is dedicated in memory of Captain Robert Falcon Scott. Other than this, Glen Prosen is mainly a quiet wooded backwater with the wild splendour of other glens. The area is best explored on foot. While you are at Glen Prosen, you cannot afford to miss out the walking trails. The Minister's Path that links Prosen and Clova that winds past spectacular moorland scenery for a distance of four miles is one of the best walking trails in Glen Prosen. It takes its name from a local minister who would walk this way twice every Sunday to conduct services in both glens. Glen Prosen offers few exciting activities in natural surrounding like trekking, horse riding, golfing and few more attractions. The place also boasts some great hotels for the visitors - the Glen Clova and Glen Isla hotels near Angus are a great place to experience a cozy stay with all modern amenities apart from pubs, shopping options and restaurants. With three international airports, a dozen golf courses, the Montrose Basin Nature Reserve and the sandy beaches at Lunan Bay, there is something for everyone here in Glen Prosen, which stands out for being blissfully quiet unlike its counterparts. 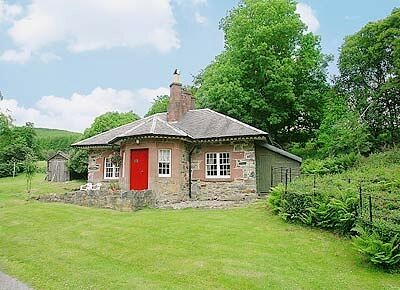 Super charming & quaint cottage hidden away in this little known but very beautiful part of Scotland. Sleeps 2 and your faithful mutt. Definitely one to make everyone else jealous.